Scene of the crime. Our missing cactus. One of the reasons I prefer blogging to writing books is feedback in the form of comments. The subject matter we write about attracts thoughtful and compassionate people interested in making the world a better place. And I appreciate discussion and constructive criticism (We’re thankful too, that no trolls live under the Root Simple bridge). As an only child prone to ex cathedra statements, it’s good to have accountability in the form of reader feedback. With this in mind, I thought I’d review the most commented upon posts in 2015. One curious phenomenon is that the number of comments a particular blog post gets is often inversely proportional to the amount of time it took to write. Kelly and I will sometimes spend hours agonizing over a blog post that gets just a few comments. Other times, a post dashed off in ten minutes will touch off a spirited discussion. This is not to say that a post that gets comments is any better or more popular than one that does not. Some posts, I suppose, are just more worthy of commenting. And we’re aware that many people read and never comment. 1. Plant Thievery. Back in April three barrel cacti disappeared from our front yard. It was a thorny, premeditated crime that prompted many readers to share their loss of plants. Later in the year I heard about two women who stole a lawn in England. 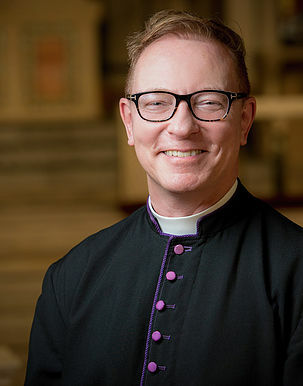 And in local plant thievery news, a Los Angeles bakery lost most of its outdoor patio plants and the Episcopal Cathedral had an entire orange tree disappear. I like to think of these crimes from the plant’s perspective. Assuming they survive, the plant probably enjoys being able to travel and spread genetic material. Many plants, after all, evolve ingenious ways of, for instance, getting birds to eat seeds and poop them out over the landscape. Appealing to our lesser instincts could be yet another devious genetic strategy on the part of team plant. 2. Loquat Season is Here. Second to ways to avoid traffic, one of the great questions of life in Los Angeles is what to do with all those damn loquats. As the loquat is not frost tolerant, this is not a question for folks in the antipodal extremes. And there’s great variation in loquat quality. Some taste, well, almost as good as an apricot (I know this sounds like faint praise). Others are just a thin, watery pulp surrounding huge, inedible seeds. I suspect part of Kelly’s motivation for writing this post was her skepticism of my loquat fruit leather recipe. I considered it the equivalent of discovering the loquat northwest passage. Despite Kelly’s brave stab at understanding the loquat, I don’t think we have a definitive answer on the subject. Perhaps we need to construct a kind of loquat Hadron Collider to solve this problem. Hey, that sounds like our first Kickstarter! 3. A Year After the Age of Limits: 5 Responses to the End Times. While Kelly may not have nailed the lid on the loquat coffin, she did write an eloquent essay on the pitfalls of apocalyptic thinking that was prompted by our attendance to the 2013 Age of Limits Conference. It took us and our friend John, who went with us, an entire year to process this disturbing weekend. Kelly and I recorded a long interview for our podcast with John about his experience that we never used. It’s well past time for me to revisit that recording. Thanks to KMO’s always excellent C-Realm Podcast, I heard that this year’s conference was different, perhaps due to the absence of the near term extinction crowd. 4. The Hugelkultur Question. 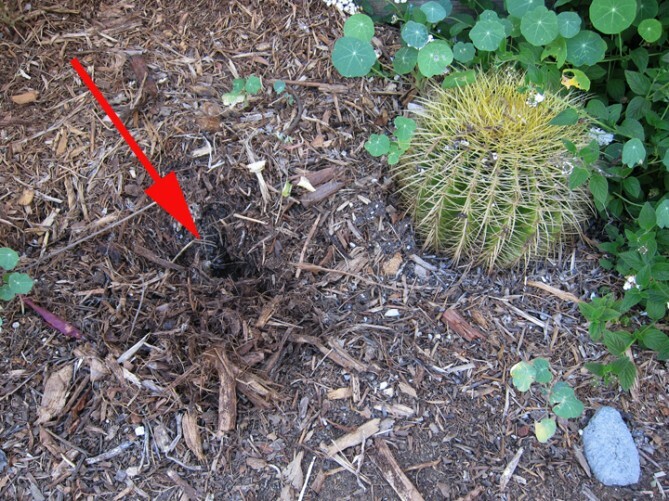 Popularized by Sepp Holzer and many other permaculturalists, this practice of mounding logs in a hill of organic matter has been making the rounds of the avant-horticulture scene for the past few years. Like many 21st century radical home ec practices, evaluating Hugelkultur takes us to the messy collision point of systems theory and reductionism. This is not to even get into the problem of climate, which I pondered in another much commented upon post, Hugelkultur in Dry Climates. One thing to come out of researching the issue was discovering the Garden Professor’s Facebook page, wherein brainy horticulture types engage in a dialog on newfangled ideas. Use the search function on that page to find the subject you’re interested in. Who would have guessed that Facebook is useful for more than sharing cat photos and speculating about caftans? 5. Non-GMO Versions of Grape Nuts and Cheerios Less Nutritious Than GMO Versions. This may seem to be a post about the GMO debate (I’m not a fan of GMOs in most cases), but it’s really a stealthy realization that my Grape Nuts habit needed to end. Thankfully I discovered the Higgs bosen of breakfast cereals thanks to the KoMo FlicFloc. Which, to cram way too many physics metaphors in one blog post, really is the Hadron Collider of kitchen gadgets. What controversial and comment worthy subjects would you like us to take up in 2015? KMO interviewed us about the end o’ the world stuff we blogged about last week for his C-Realm podcast. If you’re not familiar with the C-Realm you should be–it’s one of my favorite podcasts and covers a difficult to summarize array of subjects that will interest readers of Root Simple. After our interview, KMO talks to Archdruid John Michael Greer who had a similar reaction to the conference’s mashup of drum circles and near term extinction enthusiasts. One of the many things Kelly and I neglected to mention during the interview is that we think there should be a conference here in Los Angeles that would gather together all the amazing people in our region who are making a difference in this world. We’re thinking hands on workshops, talks etc. Let us know if you have any ideas about how to make this happen. Many thanks to reader Maribeth for turning us on to this subject, and sharing a great video. I liked it so much I had to share it with you all in turn. She sent us this nice short article on Colossal, which has an overview, more photos and some good links to explore, as well as the video I’m embedding here. 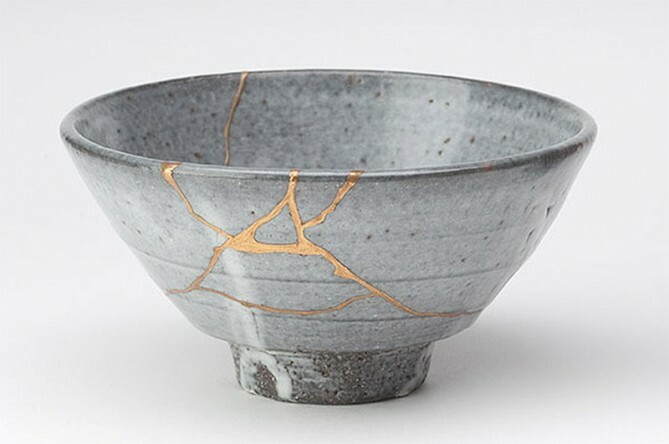 Kintsugi is the Japanese art of mending broken ceramics with gold or silver lacquer patching which emphasizes rather than hides the break patterns. The resulting piece is often more beautiful than the original, an embodiment of wabi-sabi, and an invitation for meditation on beauty, loss, transformation, wounding, scars, entropy… The responses, I suspect, would be as individual as the viewer. This art-of-mending seems related, somehow, to the “oh no, it’s the end times!” stuff Erik and I were blogging about last week (here and here). Kintsugi is such a subtle, wise practice. It’s not about fixing something good as new, as if it had never broken, but acknowledging that breakage, and making something new and beautiful out of disaster, via the practice of mindfulness. Perhaps we can learn something from this. In her post Mrs. Homegrown mentioned that I had more to say about last year’s Age of Limits Conference. I don’t have much. She’s is a much better writer than I and she said pretty much everything I would have said. Not to minimize the challenges we all face from resource limits or climate change, but we humans are very bad at predicting the future. And we have a tendency to turn our desires into apocalyptic fantasies. Whether we have or have not passed the point of no return with these problems, it is immoral not to try to come to the aid of all beings and work to maintain the paradise that is the living earth. I’m especially concerned when I hear dark fantasies about sudden population decline combined with notions that the plucky and righteous survivors will get to choose who lives and who dies. More than one participant suggested such a scenario at the conference. And, I have to get this off my chest: the fabricated rituals dealing with both personal and societal grief bugged me. Far from helping, they seemed to reinforce a depressive and unproductive group dynamic. Meaningful ritual comes from deep in the collective unconscious. It’s not something you can wing with some bad poetry, encounter sessions and bongos. On the positive side, it was a pleasure to hang out with and talk to John Michael Greer. Throughout the conference he held court outside the tent and discussed many of my favorite topics: organic gardening, Ham radio, appropriate technology, fraternal societies and even letterpress printing. When a talk or activity annoyed me, I’d walk out and find Greer. What I would have liked to have seen at the Age of Limits was a wider range of voices. A few mainstream climate scientists would have been a good start. Instead, we were only hearing the most extreme points of view. One of the organizers emailed us shortly after the conference to ask us to return this year and speak. I wrote back and said I’d do it but never heard back. Perhaps my email ended up in a spam box. I’m glad that I’m not going. I’ve got bread to bake, talks to give and a much delayed vegetable garden to plant.